Bailey Walker, a Chickasaw Citizen, President/CEO of Four Winds Strategy Group LLC and Director of Tribal Relations for Tribal Diagnostics LLC was elected unanimously as the 2019 AICCO President at the December State Board of Directors meeting. 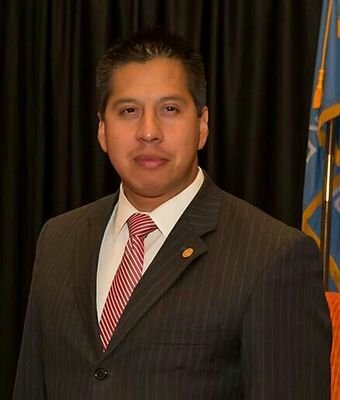 Bailey is active in the American Indian Chamber of Commerce of Oklahoma, first serving as an Advisory Board Member, State Board Member, Vice President, President Elect, and State President for most of 2018. He has assisted in the creation of the SW Chapter, SE Chapter, & Eastern Chapter. In 2016, Bailey accepted an opportunity to help build a pilot program Leadership Native Oklahoma to assist future leaders.